Layer it! Hang it! Join us for some Christmas crafting, layering colourful sand to make a gel candle, and designing wooden decorations for your Christmas tree. For children 5-12 years old. All materials supplied, just add imagination! 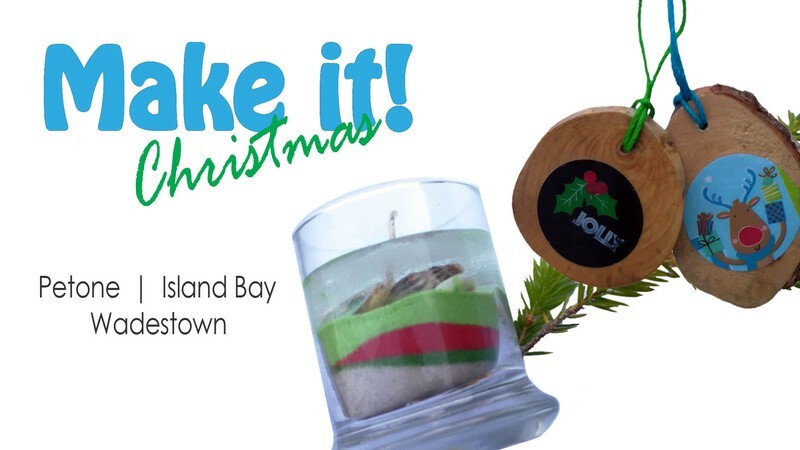 Spaces are limited so please contact Jann on jann.freitas@jinglebugs.co.nz to book your young maker in.